Speaking of inviting, we were invited by our friends over at Gra'it Grappa to an evening at Estrella Sunset for The Renaissance of Italian Spirits, a night of liquid education, guided tastings, and of course, some truly excellent cocktails curated by some of LA's best bartenders. CEO of DBU USA Inc., Fabris Luca, showed us a thing or two about the spirit of the spirit itself. 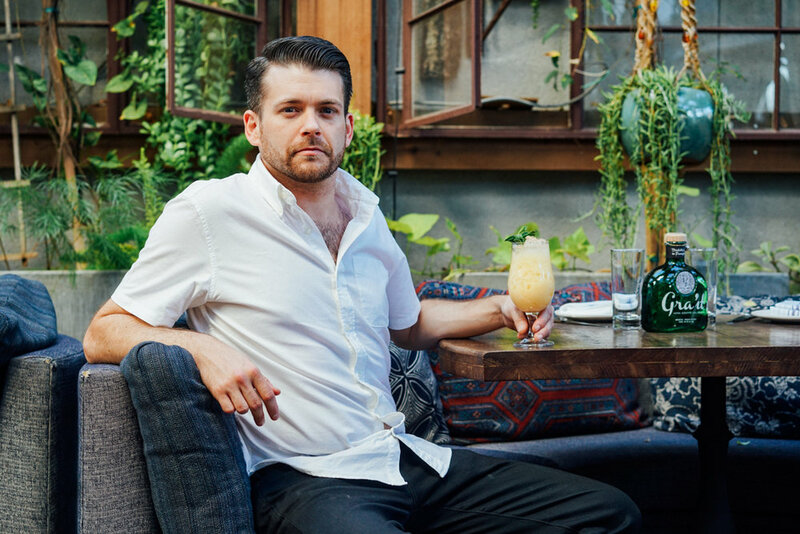 Following his lesson, Bethany Ham, Michael Lay, and Beau du Bois took us on an artisanal journey where they brought their own teachings to the table by presenting perfectly balanced and ornate concoctions, all with their own splash of color and personality. First we have Mike Lay and his Ghost of Capri. With 1 ounce Gra'it Grappa infused with masala chai, this spicy juggernaut packs a tiki-like punch with the marriage of the familiar flavors of a pina colada and an Italian classic. Including both Jamaican Rum and Rhum Agricole, you can count on the fruity balance of this phantom to have you singing Coconut by Harry Nilsson. Yes, that's the lime in the coconut song. Combine all ingredients in a cocktail shaker. Add pebble ice and roll cocktail a few times in between two shaker tins. Pour into a hurricane glass and garnish with fresh grated nutmeg and a mint sprig. 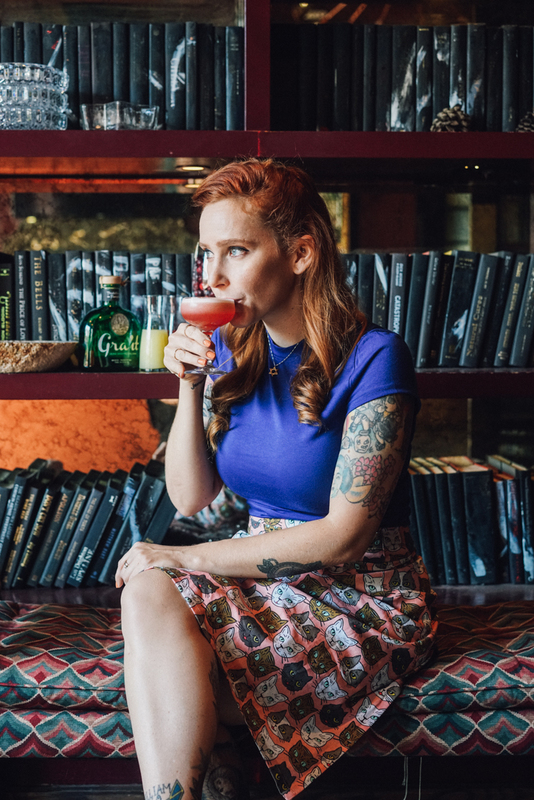 Next we have Bethany Ham's cocktail, Pomace Club. Bethany used Green Tea Infused Gra'it Grappa as her base, along with salted superfruit cordial, fresh lemon, and egg white. Frothy and fragrant, Bethany's Pomace Club delivers us poised simplicity at its finest. Take one 750 of Gra'it grappa, transfer to sealable glass jar, add three tea bags of green tea, seal, let sit for 2 hours, remove tea bags, re bottle. Blend all ingredients, pour through chinois to strain, keep in refrigerator. Last, we have Beau du Bois' Golden Touch. 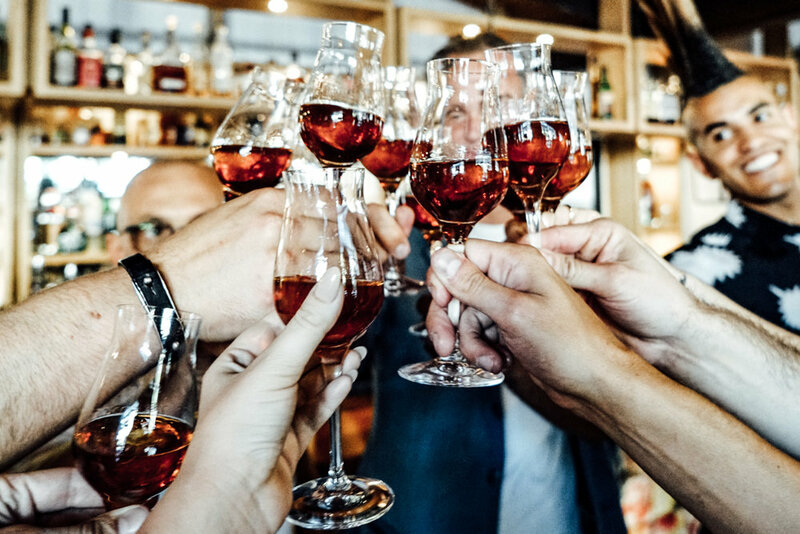 With the fabulous combination of Gra'it Grappa and Alvear Fino Sherry, Beau's Golden Touch carries out a delicate and herbal finish on account of his included vanilla/rosemary cordial. 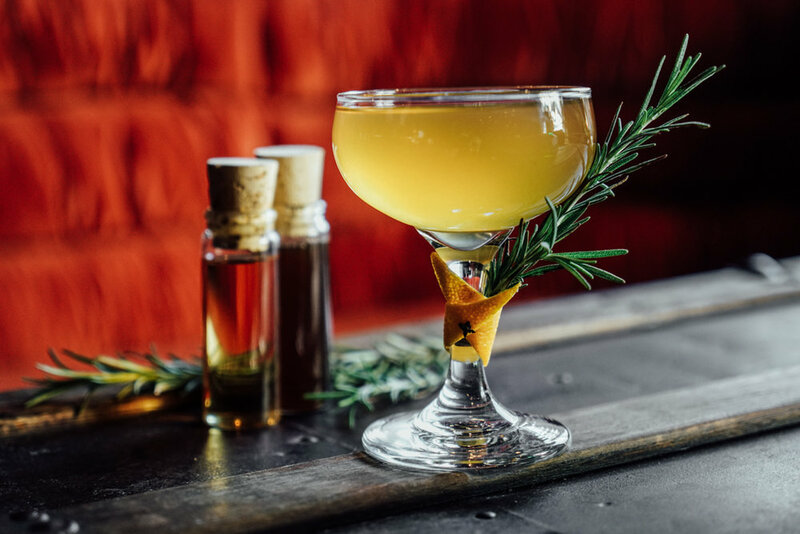 To literally top it all off, Golden Touch is garnished with a rosemary sprig spiked in an orange peel "ring”. Yum! Stir in a mixing glass with ice, turn 40 revolutions. Strain into a chilled coup and garnish with an orange peel and rosemary sprig. Although grappa is not yet a household spirit in the US, it's on its way. And, in terms of production, it's beginning to make quite the name for itself across the nation. We'd like to once again thank our comrades at Gra'it Grappa for allowing us to appreciate and contribute to such an exciting event. Stay tuned for more fun collaborations with Gra'it Grappa to come!